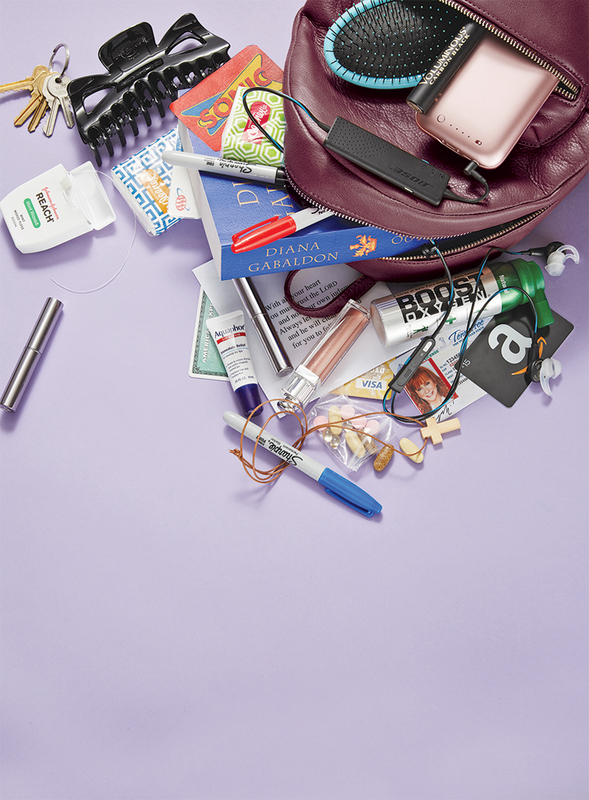 Reba McEntire: What's in My Bag? Reba McEntire: What’s in My Bag? The Sharpie in Reba McEntire’s tote isn’t quite a sign of the times. “Taylor Swift said to me, ‘I ­ haven’t given an autograph in years!’ She just takes selfies,” says McEntire, whose ­album Sing It Now: Songs of Faith & Hope is out February 3. “But you can’t be an entertainer without carrying one.” The single Oklahoma native, 61, spills her necessities. Also in McEntire’s Baggu backpack: Visa credit card, American Express credit card, an Amazon card, cash, Tennessee driver’s license, AAA card, rose gold iPhone 6S with a Mophie battery charger, Reba makeup line lipsticks in Fancy and Georgia, L’Oréal carbon black voluminous mascara, Aquaphor advanced therapy lip treatment, Dior 629 shade lip gloss, Conair hair brush, a black hair clip, Kleenex packets, a wooden cross, Reach Mint wax dental floss, one piece of Trident, a pair of black gloves, Boost Oxygen, sweet leaf Stevia, Aquafina water bottle.